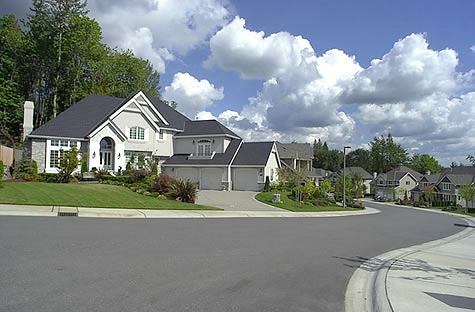 Gig Harbor Home Inspection, Pest Inspection and Commercial Inspections in the Greater Seattle, Tacoma, Olympia, Puyallup, and Puget Sound areas. Trek Inspection Services has been providing top quality home inspections and commercial building inspections in the greater Seattle and Puget Sound region, since 2003. And this is not just hype. Trek Inspection Services was found to be the top rated firm in the greater Seattle area for all ServiceMagic-Pro customers in 2008 and 2010! Bob Pilch is the owner and inspector for Trek Inspection, and has been providing Gig Harbor Home Inspections for over eight years. He is licensed as a Home Inspector (#427), and as a Pest Inspector(#66886) in Washington State. He has over thirty years of (real world) construction experience in all phases of construction. In addition he has over six years of professional training in mechanical and electrical systems. He is also an electrical engineer. Many people, when making their purchase, decide to choose the most inexpensive inspector suggested to them by their Realtor or their friends. This is a big mistake, especially when you consider how much money you are going to pay for your next dwelling ($200K, $300K, $500K+), and weight it against the cost of your inspection ($400). Does it really make sense to save a $50 or $100 on the decision making side of a really large investment? Have you seen what those cheap inspections give you in terms of substance? I have seen some of these cheap inspections, and I sometimes really wonder what people are thinking! If you are like most people, when you purchase a building, you want to know what you are really getting for your money. You want to know the truth about the building you are buying. This is where a good inspection comes into the picture. For this to happen, there are two main components or factors: 1) a good field inspection of the building, 2) a clear and easily understandable report. These two factors are like a chain, in that, if one of them is weak, the entire chain is weak. You can have a really good inspector, but if that person does not express the ideas clearly, what good is the inspection? On the other hand, the inspection could be poorly done, and the report could appear to be well done and clear and nice, but then it is not the true condition of the building. And with this lacking report you are going to make your decision to buy this building. This is why you want a seasoned, knowledgeable, experienced and professional inspector on your side when you are considering your next property purchase. It is why you want Trek Inspection Services for your next inspection. Call Bob today at 253-279-1535, or email him at trekinspection@yahoo.com. A list of prices, locations served by Trek Inspection, payment methods, and fees for specialized services. A resume of my qualifications, background experiences, licenses, schooling, and current associations. A list of referrals for Trek Inspection and also links to resources which I recommend. Electro Magnetic Radiation Inspection (EMR) for Home Owners, Business owners, and information about electrical radiation and electrical interferance effects and its syndromes on humans. Commercial Building Inspection Services for Northwest Regional Areas. Information about Trek Inspection Services, Home Inspections, Commercial Inspections, Pest Inspection, Estimates of repair, Consultations. Download my pre-inspection agreement form and print it out before you arrive at your scheduled inspection. Download the form in PDF format HERE.